This post originally appeared on FANgirl blog. Beware! 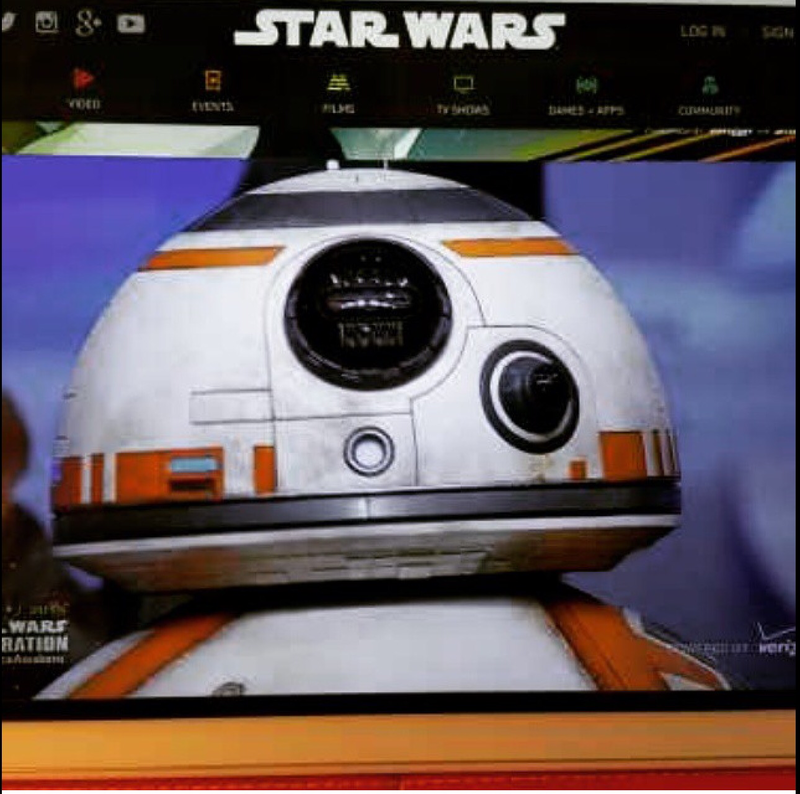 [Channeling Yoda] Beyond first paragraph, spoilers there be…. Overwhelmed. That was the prevailing emotion I felt when I walked out of a theatre in downtown D.C. on December 17th. I can’t say it was because I was immediately blown away or that I had just witnessed cinematic perfection, but rather that I left my first screening of The Force Awakens with a sense of immense satisfaction jumbled up with a continuous stream of questions and ideas. A day after the trailer for The Force Awakens aired I realized three fundamental truths at the exact same time. It was possible to feel 17 again. That in the absence of any real sense of story its possible to sway my opinion with a good score. That I am teetering on the edge of cautiously optimistic to sure thing. I am trying to write shorter blog posts so here is my quick, fifteen-second, breakdown of the new The Force Awakens trailer. Hell. Yes. ONE. Sand. Sand. Sand. BOOM. That buried star destroyer made me think of the Lusankya buried beneath the city of Coruscant — what happens to the detritus of these massive spaceships after battle? I guess they don’t all burn up in the atmosphere. Relics of a time gone past? Really, what a spectacular visual. TWO. The voiceover. “The Force is strong in my family. My father has it… I have it… my sister has it… you have that power, too.” Again we are seeing the blackened helmet of a father who fell so far before gaining redemption. This post originally appeared on FANgirl. 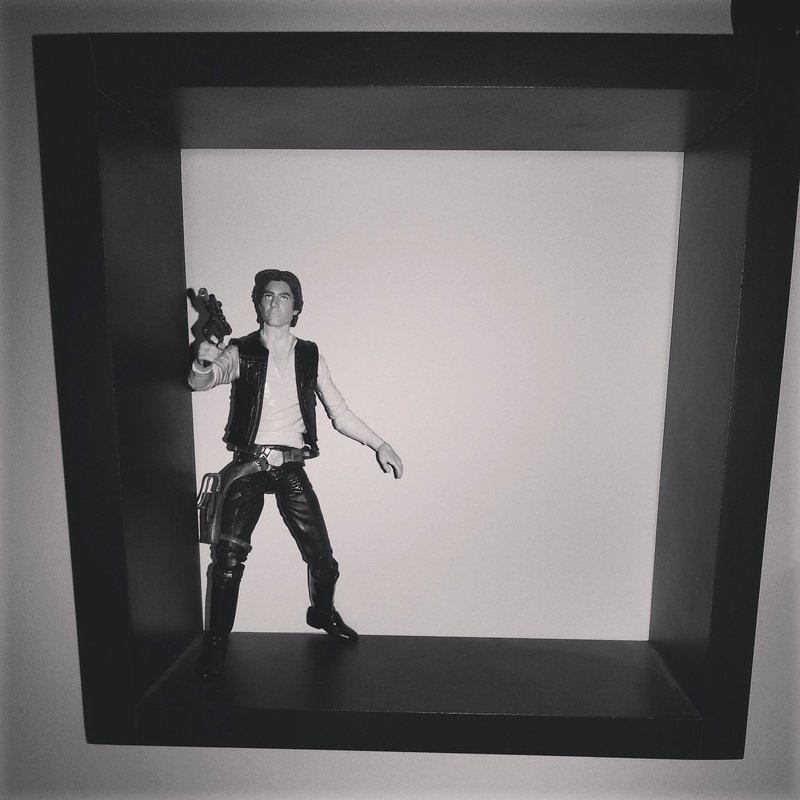 Han shot first. A toy in a prime television viewing spot at a friends house. In eighth grade science class my friend Tracy slid me a folded piece of notebook paper. Scrawled across the top were the words “Star Wars Expanded Universe and Ratings” or something like that. On this paper she had painstakingly written out the name of each of the books marking each in turn with a series of stars. One for Children of the Jedi. Five for The Last Command. A blueprint for a newly inducted fan. Soon I found myself devouring each book as it came along. Wanting to stay current, and let’s be honest, to know everything. In 1995, the internet was in its infancy, and my sphere of conversation on this topic was limited. But, boy, did I read. I read regularly until the end of the New Jedi Order. Then things took a turn towards darkness. bugs, strange adventures, twisted Solo children. So I moved on, returning occasionally for a book by Timothy Zahn and to read about Mara’s demise firsthand. I felt like I owed it to her to read about her death, to pay my last respects. Despite all this the internet kept me informed and it was enough. A single toe in a larger pond. Let’s get this out of the way: I am hopeful. Cautiously optimistic. Filled with anticipation. Even thrilled now that we have three films in three years. Seriously all — ROGUE ONE. Even if it isn’t linked to Michael Stackpole/Aaron Allston, the idea alone… Whew. 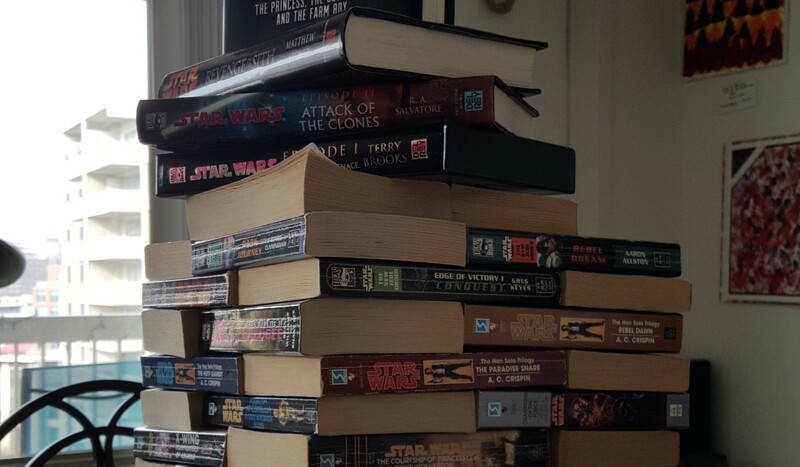 Then there was a notice about the new books, including a blurb about Star Wars: Aftermath, and there it was: an unexpected twinge next to my heart, a sudden moment of loss.